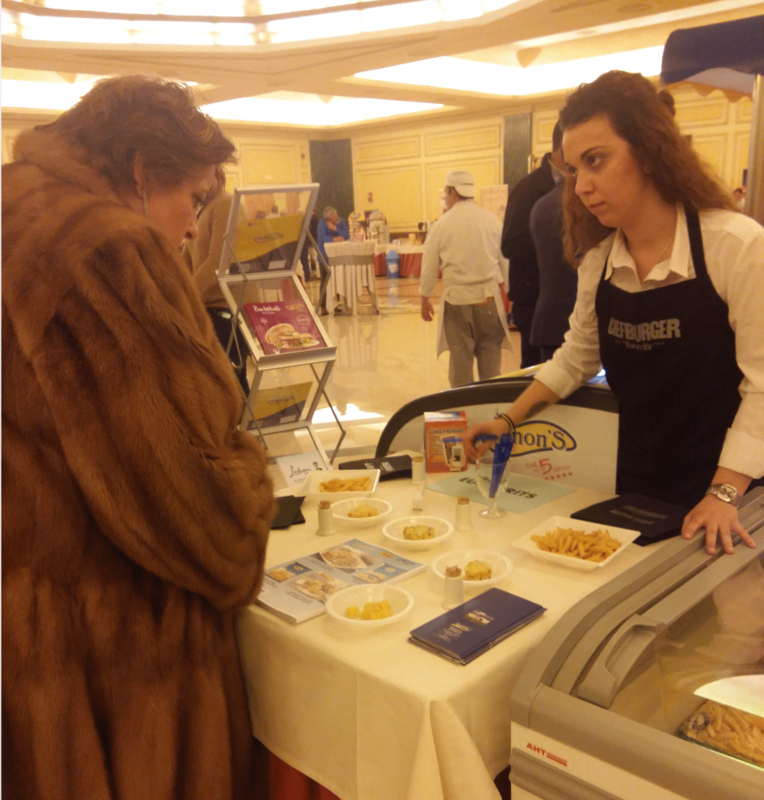 1,800 people attended the “2nd Customar Professional Product Tasting Meeting“, organized in Sonseca (Toledo) last February 22nd by the aforementioned company, specialized in the distribution of ice cream and frozen products. Eurofrits-Aviko presented for this audience some of their latest products: a few varieties of Potato Gratins, pur Super Crunchy potatoes and the Turbo Fries, aside from the Premium Hamburgers, ChefBurger. The gathering took place at the Corona de Castilla Salons, in Sonseca, this second edition of the “Customar Professional Product Tasting Meeting”, organised by this leader in the distribution of ice cream and frozen products which operates in Toledo, Madrid and Ávila, with 25 years in the food service and catering service under its belt. This time Eurofrits-Aviko showed different varieties of our Potato Gratins: the Cheese Cream and the Tomato and Mozzarela. Attendants could witness these small handcrafted delicacies that keep their original shape after their regeneration, rendering a crunchy and golden product, ideal as an entrée or a side dish. Visitors could also acquaint themselves, and delight with, two widely acclaimed potato specialties. One is the Super Crunch, fries that are twice as crunchy, with a longer-lasting flavour and the advantage of an oil consumption save. Just as popular as our quickest fries: Turbo Fries, golden and crispy in just 90 seconds, ideal for fulfilling the needs of customers that need to prepare a large amount of fries portions in a small amount of time. Last but not least, we also presented our range of Premium Hamburgers, ChefBurger, made from top quality 100% guaranteed beef of national origin. The meeting was a success. “Both our Potato Gratin Specialties and our Premium hamburgers have enjoyed a warm welcome among the public, who often pointed out the great quality of our products“, assures José María Peralta, Eurofrits Sales Manager for the Centre region. For more info on Customar, click HERE.